President Donald Trump has finally been reduced to a drug. Police in Germany have reportedly seized ecstasy pills in the shape of the American president's head from a drug dealer. 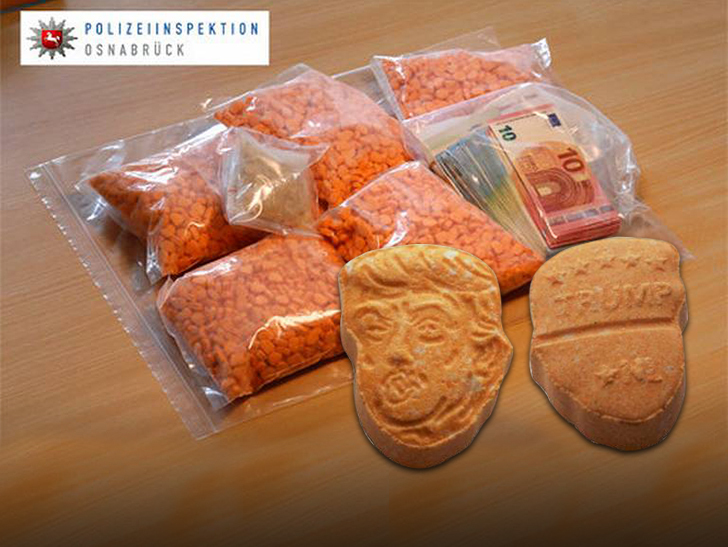 Cops in the northwestern city of Osnabruck found about 5,000 orange Trump shaped pills with an unspecified amount of money in a car driven by a 51 year old man and his 17-year-old son. The Trump head shaped pills are reportedly worth about $46k . The pills were in the image of Trump with his name written at the back. The father and son after their arrest told police they were in Netherlands to buy a car, but were unsuccessful so they had to return home. A judge ordered that they remain behind bars when their car was towed.